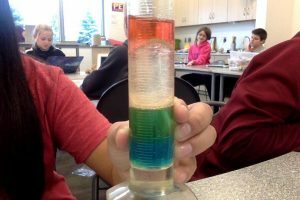 All of the different liquids didn’t mix because they had different densities and they ended up stacking on top of each other. This entry was posted in Uncategorized and tagged Lowe. Bookmark the permalink.